Using precise MPPT function, APL functions, the inverter automatically adjust the solar panels of maximum output power,simply connect the solar panel to the grid inverters. Do not need to connect the battery. AC phase angle of 0 through isolation amplifier then input to the MCU for high-precision detection and analysis. 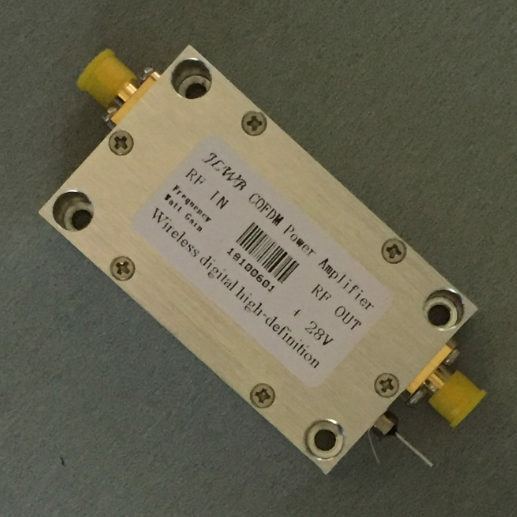 The phase shift rate is less than 1%, thus achieve high-precision with phase modulation AC output together. In the process of the grid, usually adapt the same phase angle in parallel. (ie, When the two-phase alternating current total is equal to 0.Use switch to combination the two AC fusion) and the product is rectified AC half-frequency AC to 100Hz first, then the machine use the high frequency current in the circuit and semi-100Hz frequency alternating current generated combination, to achieve high-frequency modulation. Use the latest luminosity perception operation technology. The different illuminate angle and intensity of the solar panel will produce different current output. Use advanced CPU to operate the different illuminance and the data can be directly displayed on the LCD. Then you can visually see the sense of the strength of the sun unit. Used more convenient. In different current fluctuations, we should use the MPPT function. When the MPPT function adjusted to the maximum power point, the product automatically powers locked in maximum power point, then made the output power more stable. Because the current intensity and the voltage changes at any time, if there is no power point tracking, there will be a lot of problems. In the past time, usually adopt a solar controller, but this product uses high-precision MPPT operation power, automatic and immediate adjust the solar panels output power at the maximum output point, then achieve a stable output purposes. Multiple small power inverters in parallel can achieve large output power. 1. Red terminal: Connect DC positive, black terminal: Connect DC negative. Show in Figure 1. 2. 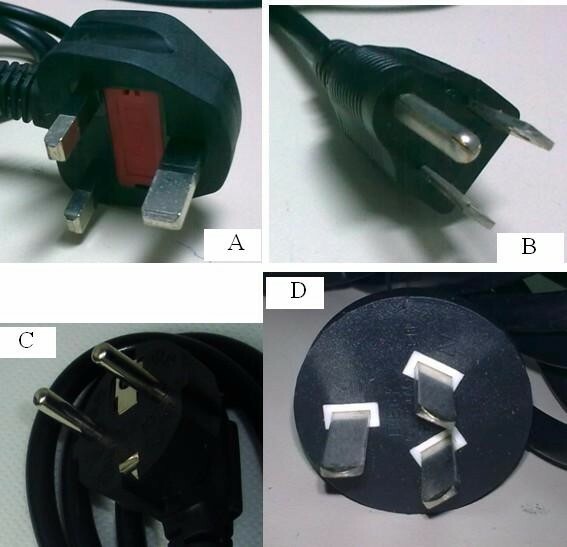 AC socket: Connect to the mains. Put the side of the AC cord which has holes into the inverter with 3 foot outlet and the other side of the AC cord to home 3PIN AC outlet. Show in Figure 2. 1. Please leave us exact input voltage ( DC 12V or 24V)and output voltage(AC100V or 110V or 120V or 220V or 230V or 240V), frequency ( 50Hz or 60Hz), and outlet Plug(A or B or C or D) so that we can send you the perfect products. 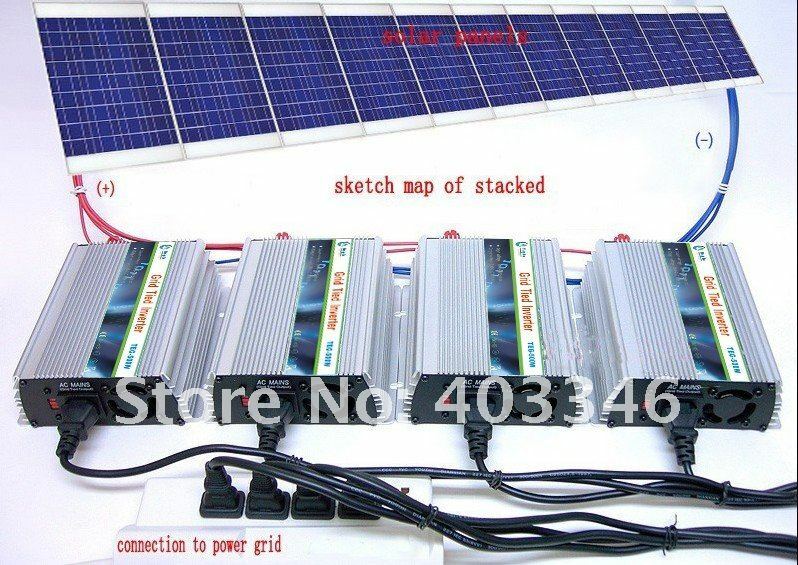 Solar Panel: Recommend using the power more than 30W and the standard voltage of 17.5V PV panels. Wind turbine system: Rated voltage 24VDC, maximum voltage 28VDC. 1.Low-voltage protection (input DC voltage is less than 10.5VDC). 2.Over-voltage protection (Input DC voltage is greater than 28.5VDC). 4.Fault Protection (when 110VAC or 220VAC power outage or shutdown). 5.Islanding protection: When the electric supply stop, the inverter automatically shut down output. 1.Green LED flashing: The inverter is adjusting power output. MPPT is in working condition. We guarantee to ship out within 72 hours after payment confirmation (except Holiday). In order to ensure you receive you order tax free upon import, we will declare it as a \'GIFT\' with a lower value. This lower price does not reflect the total price you paid or the market value of the product and may not apply to countries with different tariff rules. Any import charges or fees are the buyer\'s responsibility. Holiday) to most US/UK/AU destinations . Please contact us if you don\'t receive it over above 4 weeks, we will solve this problem in a very short time. All our items will be shipped to buyer\'s Wholesales Alibaba address please confirms your address on Alibaba before you bid. Please make sure the shipping address is correct. We are not responsible for any wrong or undeliverable addresses. We provide 1 year warranty. If the item is defective, please notify us within 7 days of delivery. If you do not receive our reply with 24h, please kindly re-sent your email and we will reply you as soon as possible . If you email us and don\'t hear a reply, please email again through the Alibaba system as sometimes our mail servers have errors. Welcome to your visit and call, please contact me anytime if you have any question.